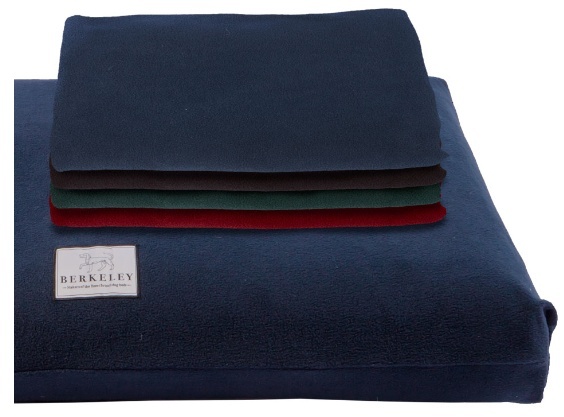 The optional Fabric Overcovers for the Berkeley Pocket Spring Dog Bed are designed to slip over the Standard Waterproof Cover to provide a warmer feel. Stylish cover to match your room decor. Made of Anti-Pill Polar Fleece which gives an incredibly soft warm yet tough finish. A range of 4 colours at a very affordable price. Dog bed covers in Polar Fleece have excellent insulating moisture buffering & wicking properties. Designed to not unravel run or fray. Machine washable and quick drying for ease of use.